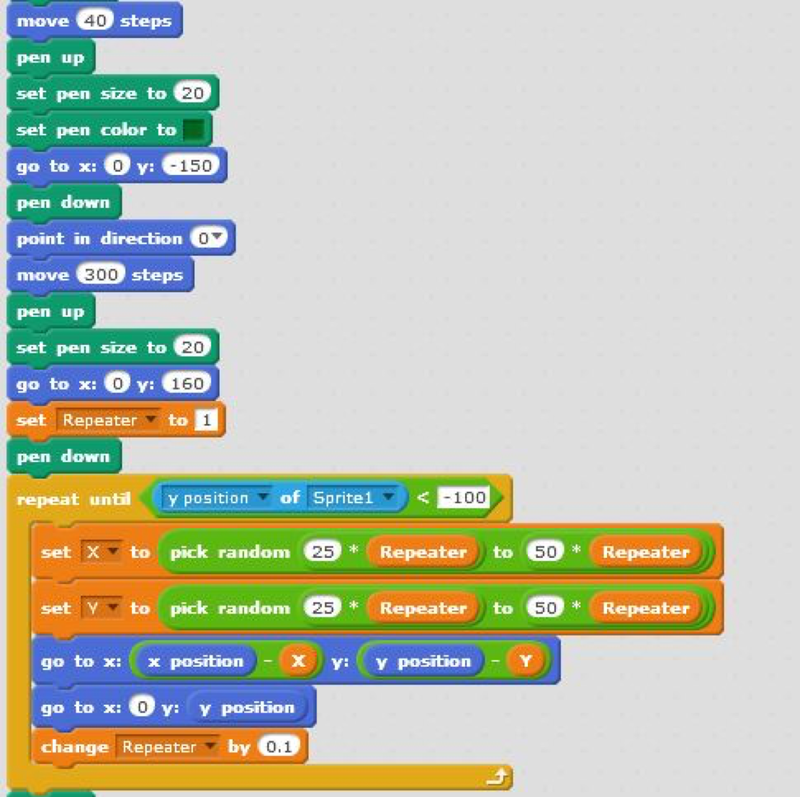 Hello and welcome to Scratch 101! 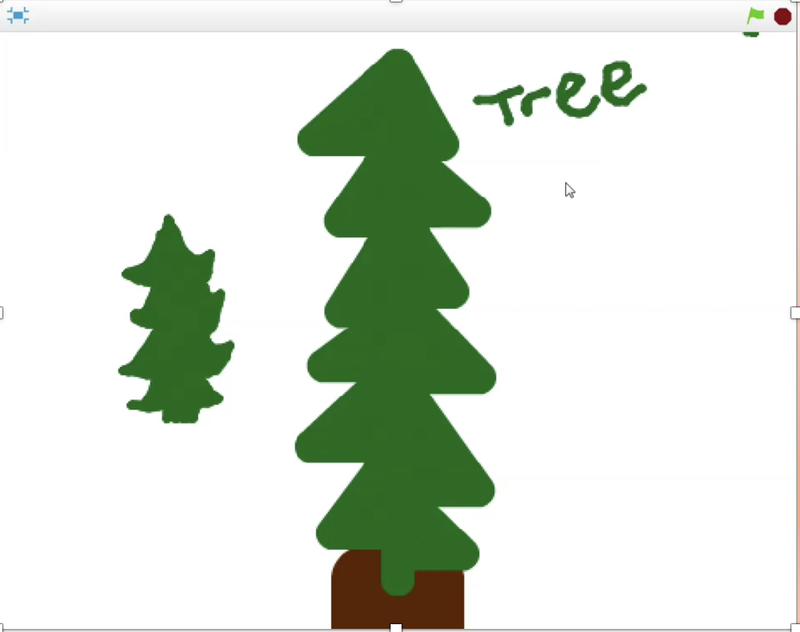 In this tutorial we will be creating a "Winter Tree" that is customizable after we complete it. 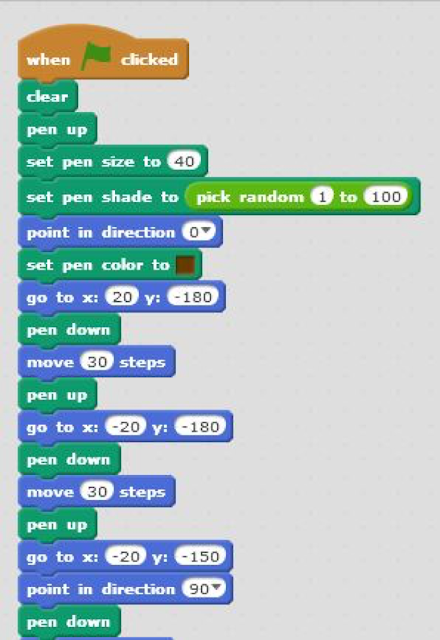 To create an animation using data structures, angles, and pen features. Think about how the image can be customized. Make sure to correctly create the "Repeater", "X", and "Y" variables. 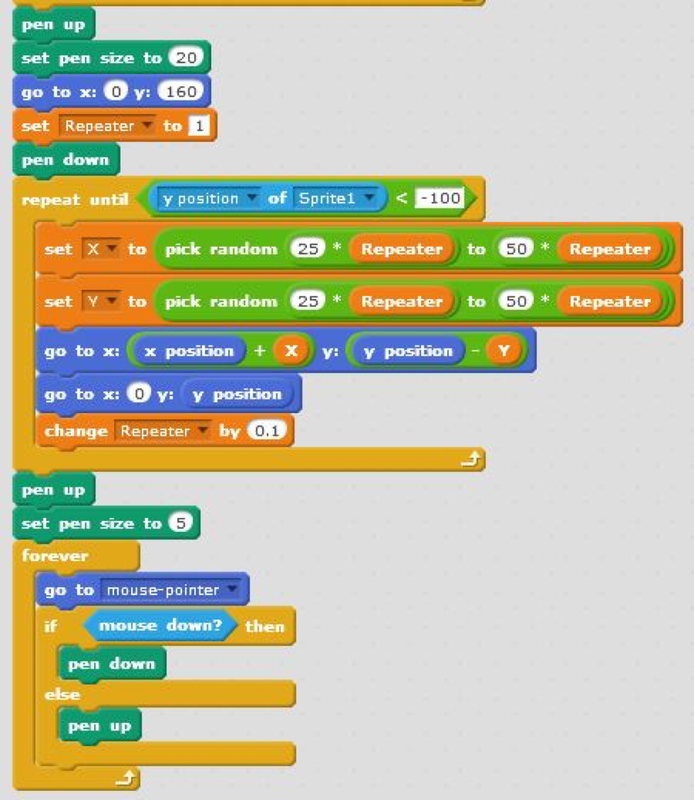 You can learn more about variables here. Make sure to set the colors correctly to either "green" or "brown". Learn more about this pen block here.